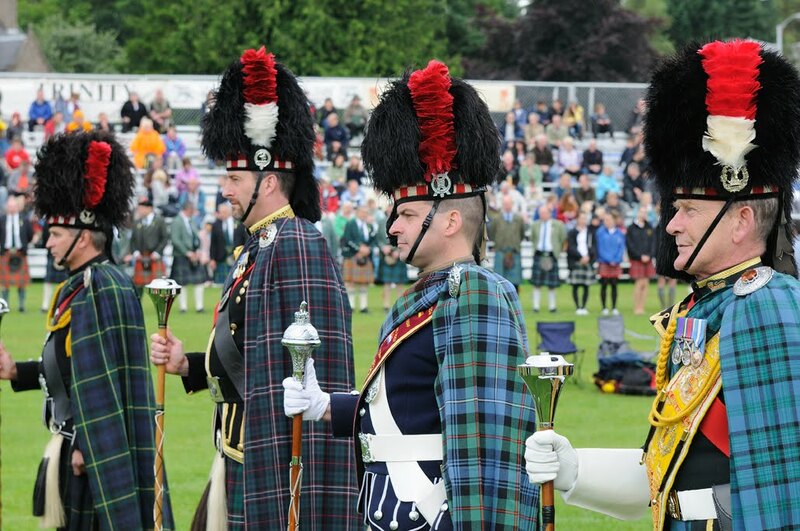 I was asked to be one of the photographers at the recent Aboyne Highland Games. 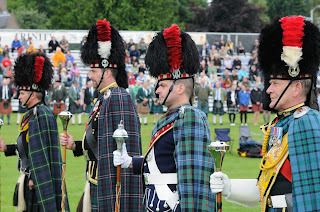 Trying to capture the best of highland games is not easy as there is so much going, often at the same time and at different parts of the field (much the same as any games). Also, it was my first experience of doing a shoot at a games, so along with the question of what to shoot, was the question of how to shoot. I decided to stay on Raw and mostly on Aperture priority. It was a changeable day weather wise, and to try to reduce complex backgrounds, I was often shooting from ground level and getting much sky, making the exposure too dark. In future, I would just shoot getting the background as blurred as possible or completely over expose the sky. I also shot in continuous mode a few times. I rarely do this and, though a simple thing to do, I was pleased with the camera's continuous auto-focusing. It uses up too much memory though and much deleting afterwards is needed. There was one sequence I thought I would use to try to learn how to make an animated Gif in Photoshop Elements (hence the title of 'keep learning'). It was more time consuming than difficult and then you find sites like Flickr don't support them, (although there is a work around) so why bother?